What pairs well with an upper crusty dinner party at fabulous Downton Abbey? Chateau Coutet wine, of course. That was on the table for the big bash thrown by the Granthams in Episode 2, Season 4, and the crew at Coutet were tickled to be featured on the British period drama. You know you’re doing well when Carson, the Butler With Impeccable Taste, gives you the nod. 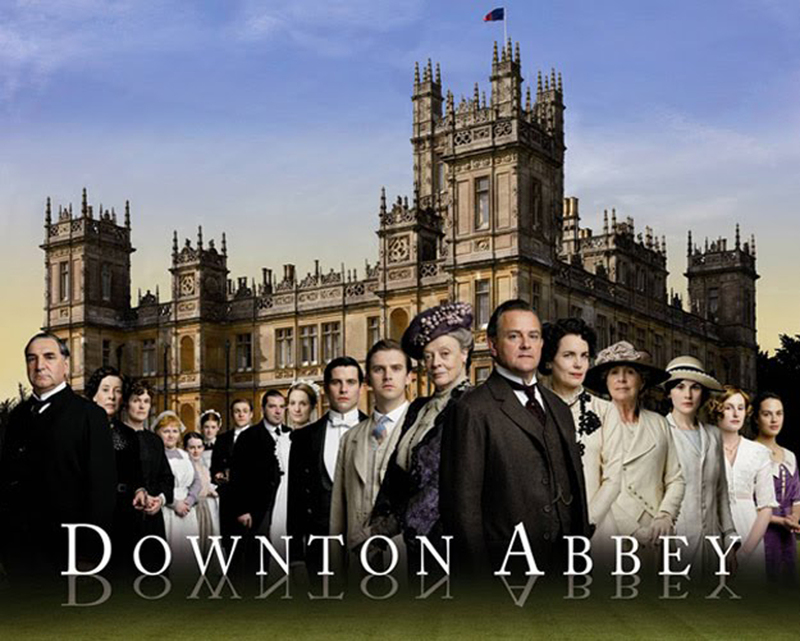 “We are thrilled to see Coutet featured on Downton Abbey,” said Aline Baly, co-owner and director of marketing and communications for Chateau Coutet, which is in the Sauternes-Barsac region in southern Bordeaux. The show is a favorite of the Coutet team and it’s icing on the cake that producers appear to have a fondness for the Bordeaux region. The wine, a 1919 Chateau Coutet, was selected to go with dessert, a logical choice. The wines are made with white grapes, mostly semillon with some sauvignon blanc and a small amount of muscadelle, that are allowed to hang on the vine until weather conditions create a condition known as Botrytis fungus (aka “noble rot”) which results in a very high concentration of sugar in the grapes. In 1919, the chateau was under the management of the Lur-Saluces family, who at that point owned Chateau Coutet and its neighbor, Chateau d’Yquem. The Baly family took over in the ’70s. This wasn’t a pay-for-play moment. Producers of the show, who are known for their faithful attention to detail, approached the family and asked for permission to use the name and then made a prop bottle to use in filming. Also featured was a Bordeaux red, Chateau Haut Brion, a “first growth” producer which, like Coutet, has a history stretching back centuries. This made for some sparkling dialog when special guest Nellie Melba (played by awesome opera star Dame Kiri Te Kanawa) was able to identify the wine with just a taste. Since stuffy old Lord Grantham (and what is up with him this season?) had initially balked at having a performer sit down to eat with the nibs. Plot-wise things are looking a bit grim for the Granthams and their keepers. Daughter Sybil is dead. Mary is a widow and poor Edith has found love at long last … with a guy who has a mentally ill wife. Oh, Edith. Lord Grantham, meanwhile, seems to be mostly concerned with figuring out the quickest route to bankruptcy. But wine-wise, things are looking good and I’m expecting to see more notable vintages popping up at dinner. Chateau Coutet 2009: Coutet means “knife” and the estate’s wines are known for their fresh, crisp style which cuts through the sweetness, making for a more interesting wine. So you get lots of honey and ripe apricots, but the taste is never cloying. A touch of orange peel adds some zing.